Rudy Flores has an extensive percussive background that ranges from jazz and orchestral ensembles to marching bands and drum corps. He studied Music Education at Western Connecticut State University and has been involved in the activity for 16 years. He has been an educator since 1998 and has taught, consulted, and arranged for many groups including the Connecticut Hurricanes Senior Drum and Bugle Corps, Kilties Senior Drum and Bugle Corps, and WGI Independent World Finalist STRYKE Percussion. He was also the Program Coordinator/Battery Arranger/Visual Designer for John I. Leonard High School Winter Percussion. Currently, Rudy is a Vic Firth Educator, Battery Coordinator at Park Vista High School, and the Percussion Caption Head for Jupiter High School. Rudy will continue to serve as the Battery Caption Head. Francisco Torres, who also goes by “Frankie T” is a Miami, Florida native who brings over a decade of experience as a performer and educator to the table. Francisco began his drumming career at the age of eleven studying several different styles of drumming. His passion for the activity drove him to perform with several ensembles in DCI & WGI from 2005-2011, to include Kiwanis Kavaliers (2005), Carolina Crown (2007-2009) & Rhythm X (2009 & 2011). Francisco has taken and embraced several roles with a variety of different organizations, including Miami Senior High School (2006-2010), Miami Killian (2013), Infinity Percussion (2014-2015), FIU Indoor Percussion (2015-2016) and STRYKE Percussion (2017). He prides himself in helping his students achieve and thrive on a personal level and has helped several organizations rise to new levels of excellence. Francisco will be serving as the new Battery Coordinator for 2018. 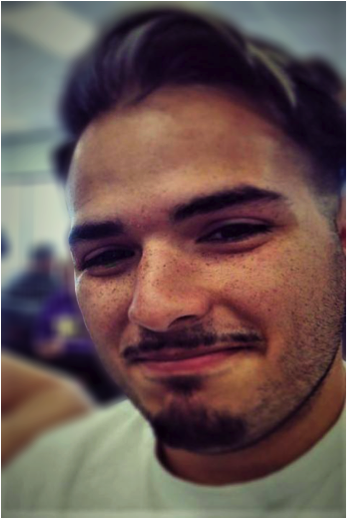 Giovanni Pagliaro began his performing arts career with STRYKE Percussion (2013-2015). Throughout his time as a performer, Gio went on to march for the world renowned ensembles of Carolina Crown (2014-2015) & Rhythm X (2016). Gio has also performed at Hershey Park as a drummer for the Cocoa Rhythm Factory in association with Windish Music & Entertainment (2016) & with the Miami FC Drumline & Miami Marlins Drumline in association with STRYKE Entertainment (2016-2017). Gio has taught battery percussion for a number of years at local South Florida High Schools/Universities that include Everglades High School (2012-2015), West Broward High School (2013-2017), Florida International University (2016), Doral Charter Prep (2017), and Coral Glades High School (2017). This will be Giovanni's second year on staff with STRYKE Percussion as a Snare Tech. 4 seasons with STRYKE Percussion (2011-2014), and a career in teaching the marching arts in the South Florida area. He has also earned a B.A. Degree in History from the University of Central Florida. This will be Sean's third season serving as Snare Drum Technician for STRYKE Percussion (2015-2016), having also worked with STRYKE Percussion 2 for the 2017 season. Sean has also taught at various High Schools in South Florida including Park Vista High School (2013-2016), Jupiter High School (2010-2011, 2013-2014), and is currently teaching Seminole Ridge High School (2015-current). Sean is excited for the opportunity returning to SPW for the 2018 season! Brayan Gomez has been a passionate educator for 5+ years. After being a member of STRYKE Percussion (2013), he has made it a personal mission to stay involved and help the future generations maximize their potential on and off the floor. 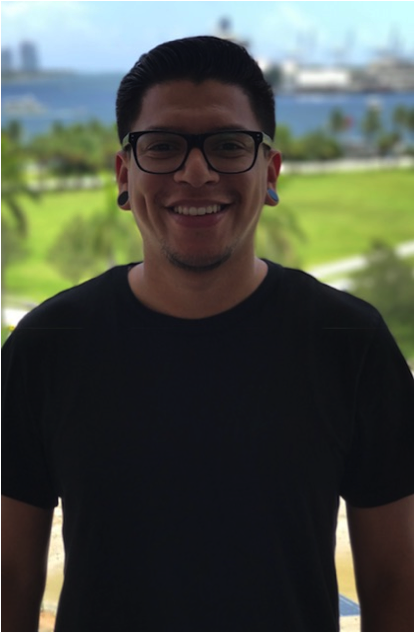 Brayan has taught at several programs both independent and scholastic; including FIU indoor (2015-16), STRYKE Percussion 2 (2017) and several Miami-Dade County schools as a well known and respected Battery Instructor. Outside of the pageantry arts, Brayan is a Mac Computer Technician with Apple, Inc. and loves to spend free time mastering ways of effective teaching. Brayan is very excited to join the STRYKE Percussion staff as the quad technician for the 2018 season! Christopher Baños is currently Director of Bands at Deerfield Beach Middle School and holds a Music Education Degree from Florida International University. Christopher has several years of experience in the marching arts. He was first introduced to the world of marching percussion as a student of Miami Senior High School in South Florida. Since then, he has established a fine reputation as a music educator throughout South Florida. Christopher has been a member of many World Class WGI and DCI ensembles. Christopher was a member of the Crossmen Drum and Bugle Corps (2012), Carolina Crown (2013-2014), receiving a gold medal in 2014. In his WGI experience, Christopher was a member of AQUARIUS Percussion (2012), STRYKE Percussion (2013), and Rhythm X (2014-2015). During his time with Rhythm X, he received a Bronze medal in 2014, and aged out with a Silver medal in 2015. Christopher has taken on several roles. In South Florida, he has been an educator, consultant, drill designer and arranger for many marching ensembles in the South Florida area for several years. Christopher worked with the Colts Drum and Bugle Corps (2016) and The Academy Drum and Bugle Corps (2017). In his WGI experience, he taught at FIU Indoor and West Broward Indoor (2016). This will be his third season working with at STRYKE Percussion. Sara Wood has been a member of the marching arts community since 2011. Her marching career includes Teal Sound (2011-2012) playing baritone, REEF Independent (2014- 2015) and STRYKE Percussion (2016-2017), playing cymbals at both groups respectively. Sara is a recent age out with STRYKE Percussion in 2017. She has taught cymbals at Cypress Bay High School and she will be teaching at both STRYKE Percussion and STRYKE Percussion 2. Sara currently resides in Orlando, Florida. Brandyn Hundley, a native of Fort Lauderdale, currently resides in Orlando, Florida and has been heading the cymbal program at STRYKE Percussion for the past 2 years. Previous marching experience includes STRYKE Percussion (2010-2012) where he earned two silver medals, Teal Sound (2011-2012), and Music City Mystique (2013), receiving the PIW bronze medal. Brandyn has also marched for various other programs such as The Miami Dolphin Band, The Patriot Brass Ensemble and the FAU Marching Owls. His teaching experience includes working with nationally recognized high school programs such as Cypress Bay, West Broward, and Coral Glades; along with a large number of other high schools in the Broward County area. Brandyn also worked with REEF Independent, helping them achieve the promotion of PIO from PIA, the World Class WGI ensemble STRYKE Percussion (2016-2017), as well as the Sacramento Mandarins Drum and Bugle Corps. Johnny Miller is a visual and music instructor and drill designer based in South Florida. His background spans the indoor and outdoor worlds with experience performing with and teaching at several World Class organizations. After graduating from Cypress Bay High School, Johnny began his World Class marching career on the cymbal line at STRYKE Percussion (2012-2014). He went on to age out with Music City Mystique (2015). During the summer, Johnny performed with the Boston Crusaders (2012-2014), earning the Best Visual Performer award in 2014. Enjoying a wide range of performance experience, Johnny brings high energy and information from a multitude of sources to the marching arts setting. He'll be taking up multiple roles this season, providing instruction for the cymbal line as well as general visual comments for the rest of the marching battery. This will be Johnny's sixth season with STRYKE Percussion. WGI Interview with Ben Seidner! Watch WGI's interview with five year STRYKE member, Ben Seidner. In his interview he discusses his role and passion of playing drumset with STRYKE Percussion. He goes on to talk about the concept of the 2015 show "Empire State" and his "age-out moment" in the show. We here at STRYKE are very proud of what Ben has been able to accomplish. We're also excited to have him come back to STRYKE as our Drumset Tech. Look for Ben at the STRYKE16 Audition/Clinic on September 27th!